Mandatory vaccination bills are sweeping the US right now, with this HealthImpactNews report that 15 US states are trying in one way or another to force vaccines on the public and squash people’s right to decide what kind of medical treatment they want – and to have sole domain and authority over what goes into their bodies. The mandatory vaccination program is really an assault on bodily sovereignty. It is the State saying,” You don’t know what’s best for you – we do. You don’t own your body – we do.” It is completely unacceptable from a purely rights-and-freedom-based perspective, even if vaccines were the greatest medical intervention ever – and they are a long, long, long way from this, as can be seen by their inclusion of toxic adjuvants, fetal tissue from aborted cells lines and their propensity to lead to viral shedding and contagion in those who take them. Hearings to remove philosophical/conscientious exemptions to vaccine mandates have already taken place in Washington and Oregon. California, Maine, Minnesota, Pennsylvania, Texas, and Vermont all have bills already filed or press announcements of bills about to be filed to remove philosophical/conscientious exemptions. Maine, Minnesota and Texas have bills to substantially restrict philosophical/conscientious exemptions. Religious exemptions are also under attack. Maryland, New Jersey, Texas and Vermont have bills filed or announced to eliminate religious exemptions, and Illinois, New Mexico and Texas have bills filed or announced to unconstitutionally restrict religious exemptions. All in all, there are 15 states trying to push mandatory vaccination! Fifteen states have bills filed to expand vaccine mandates. These include Connecticut, Florida, Indiana, Maine, Maryland, Montana, Nebraska, Nevada, New York, Pennsylvania, Tennessee, Texas, Vermont, Virginia, and West Virginia. g. that if any bodily damage or injury arises in the patient due to him/her taking this vaccine, I will personally assume full legal liability for this, including but not limited to coverage of the financial costs of providing healthcare to manage, treat and cure this damage or injury, plus any punitive legal damages. What are the chances you will get ANY healthcare practitioner to sign it? Conclusion: If They Don’t Sign the Form, What is That Saying? Regardless of the threat of these types of state-wide or nation-wide mandatory vaccination legislation, there is still power at the local level. You still have the power in your individual situation to make the doctor to take full legal liability – or else stop unethically forcing you to accept a mandatory vaccination. 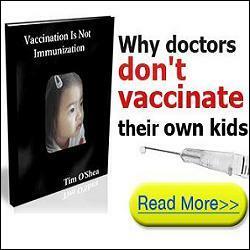 If they won’t sign it then that suggests that they are unwilling to personally stand behind something they are injecting into your body – which obviously leads to the conclusion that the vaccine is not so safe after all. If you are in a situation where you are being penalized by this (e.g. not being admitted into school), you could threaten to go public about this fact and cause all the “authorities” concerned a PR nightmare. Chances are they will drop the mandatory vaccination requirement in your case, quietly admit you into school and hope you never bring it up again.